With Ubra boats now, you can be a Rider Not a Renter with this revolutionary On Demand Boating app. UBRA arranges Boat ride between their members through the Free mobile application. The UBRA app hosts communications and payment services between members of the United Boat Riders Association, a water club dedicated to fun and safety. They are the only Free Boating app offering On Demand services with Drive to Pin and payment capability. This app has the current version and many people installed it who dreamed of riding on water. This Ubra boat app requires a smartphone to get started. Ubra boats are priced by the hour for the ride. In the app, boats docked location is available. Ubra boats have also one important feature that you can request a boat skipper to pick at another location. The members having iPhone for them it is easily available but the members having android phones this app is available in play store. 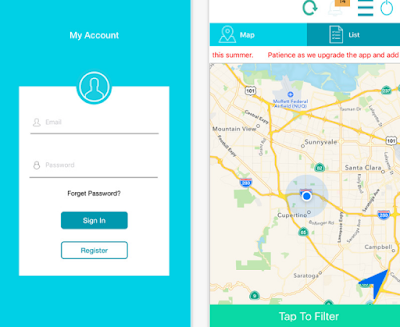 By installing this app you can make an account after that you will have a map and the list to which place do you want to travel by registering the name place and your name you will be registered. Thus you can easily travel the place you dreamed. The boats, which are given by Ubra, the direction of this boat is shown in the app by blue. For the members, Ubra boats provide 50% discount price. UBRA boats can be easily reserved by the app. one more advantage of this app is that the boat can be reserved for a later ride.